Welcome to our home on the web. We are continuously adding new events and informaton, so please check back often to see what is happening in steel tip darts in the Syracuse area. Brackets for B and C division playoffs are now posted on the league page. Regular season is over and playoffs are underway. Please see the League page for playoff information. The clambake is Saturday, May 18. Please check with your captains to get your ticket. There are plenty of opportunities to play, from beginner to expert. Our Tavern Divison is currently underway. If you are on a team, this is your source for all the information you need, including standings, match scores and announcements. If you were not able to find a team and would like to become a community sub, please contact a board member or email scdl@rentingmemories.com. If you have any dues to pay, our Paypal page is available year round. 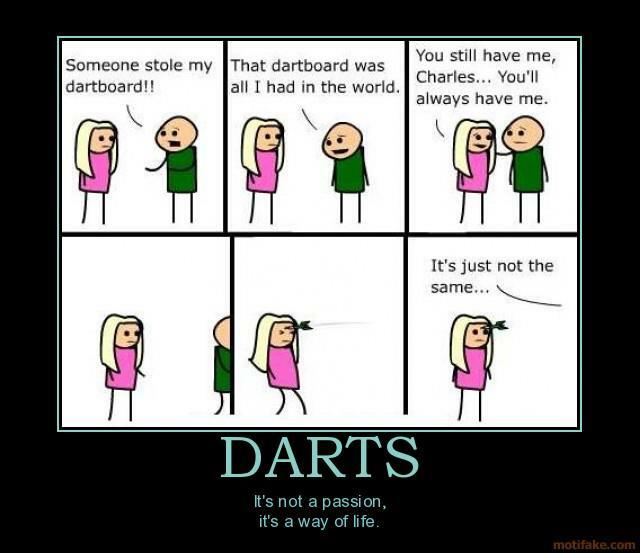 The SCDL hosts several tournaments per year, which include Darts in the Park, a benefit and a members only tournament. Please check back for details as they become available. Our biggest event of the year is the Syracuse Open, the third weekend of February. The flyer is available on the tournament page. If you have a website you would like us to link to, please contact any board member with your information. If we deem it is appropriate, we will add your link.